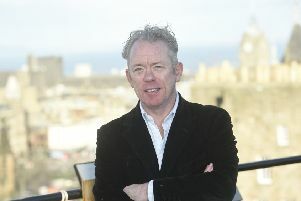 Musicians Charlie Reid (L) and Craig Reid penned Sunshine on Leith. The Proclaimers have thanked fans after their song Sunshine on Leith was voted the nation’s favourite footy anthem in a BBC poll. The song, long adopted as a favourite of Hibs, topped the Football Anthems World Cup on the Steve Lamacq Show on radio station BBC6. The rousing ballad beat Half Man Half Biscuit’s All I Want for Christmas is the Dukla Prague Away Kit in the poll by 70% to 30%, with more than 7,800 people voting. The Proclaimers took to Twitter to thank fans for their votes.